A secured environment is crucial for business continuity. However, incidents are bound to happen. Appropriate incident handling processes ensure prevention of security threats as well as timely identification and mitigation. 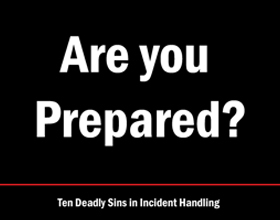 This article delves into the ten deadly sins of incident handling.